Professor Pelfrey joined the UF College of Journalism and Communications (CJC) Public Relations Department faculty as a Lecturer in Fall 2007. For more than 25 years, Pelfrey was President of Pelfrey Associates, Inc., headquartered in Louisville, Kentucky, and served national and international public relations clients. In 2005, she became President/CEO of Blue Egg Strategies, LLC, a strategic public relations/marketing consultancy that counsels clients with local, regional, national and international presence. 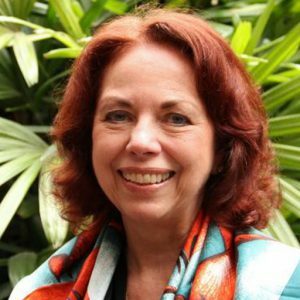 Pelfrey was a founding member and chair of the international executive council of the Global Alliance for Public Relations and Communication Management. She served for five years as a member and as an officer of the Public Relations Society of America (PRSA) national board of directors and later as chair of the International Section. In addition, she served for six years on the national board of directors of the World Affairs Councils of America. In 2003 she received the national Patrick Jackson Award from PRSA; and in 2004 she received the Loretta Richards Distinguished Alumni Award from her undergraduate university. She earned a bachelor’s degree from Mount St. Joseph University and a master’s degree from Xavier University. Prior to joining the faculty, Deanna was named a Hearst Visiting Professional at the University of Florida and she served four years as a member of the Advisory Council, Department of Public Relations. She teaches undergraduate courses: Public Relations Writing, International Public Relations, Strategic Communication in Public Diplomacy, Principles of Public Relations, Public Relations Campaigns, and a graduate course: Public Relations Management. At UF she coaches the PRSSA Bateman National Case Study Competition Team, named national champions in 2011 and 2014, second in the nation in 2012 and 2015, and in the top 15 nationally for the past seven years. Also, for six years she was adviser to the UF PRSSA Chapter, who hosted the PRSSA National Conference for 1000 university students in Orlando in October 2011, and received the Frederick Teahan Outstanding Chapter of the Year; the chapter was also recognized by PRSSA nationally with the #1 campaign of the year in 2010. She was named the CJC International Educator of the Year and received the CJC Faculty Service Award in 2012. In addition, she served for three years on the University of Florida Faculty Senate and for two years chaired the Senate’s Faculty Welfare Council. She will serve as chair of the CJC Faculty Senate in 2015-2016.